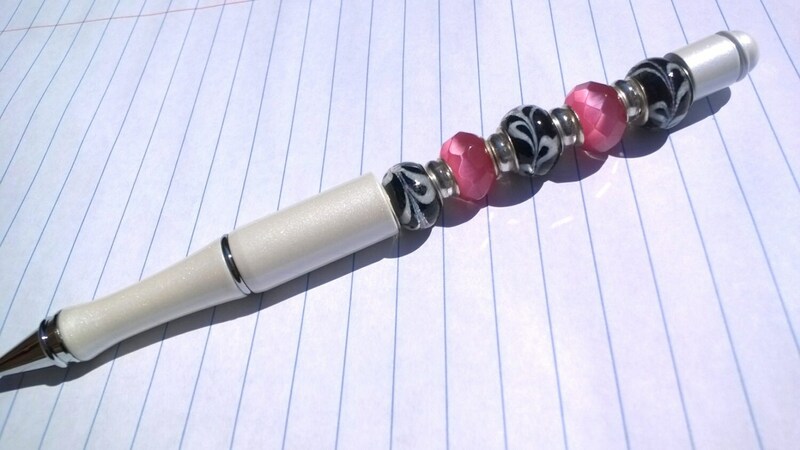 This pen is made of beautiful shiny, white metal. 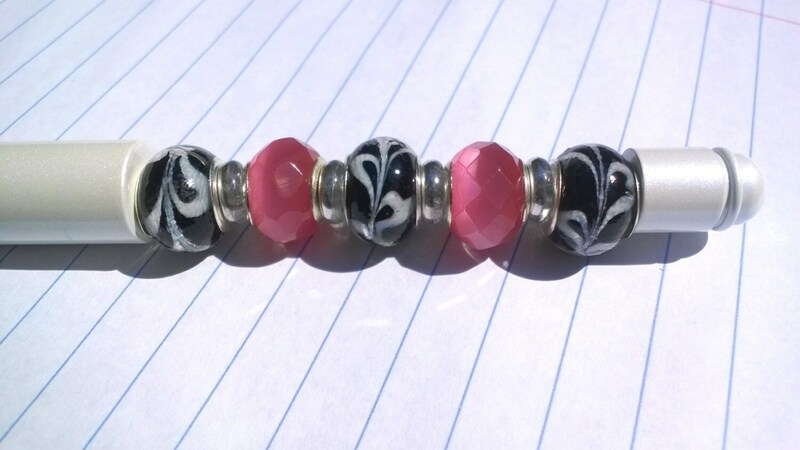 It has such a clean look with faceted pink glass beads and black and white lampwork beads. 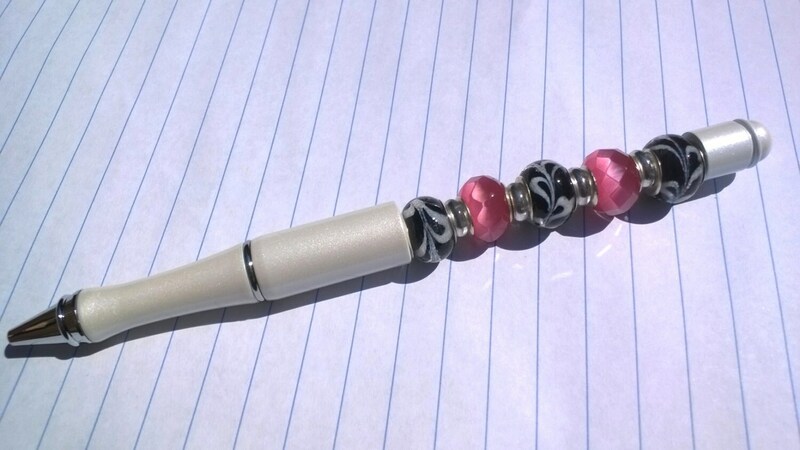 A wonderful gift for her...why not write in style? Your pen will also stay safe and scratch free with a convenient velvet pouch that I've included with your purchase. Your new pen/gift can last a lifetime! Ink refills can be purchased at any office supply store. **To open pen, turn bottom section clockwise until pen tip comes out, turn counterclockwise for pen to go back in.